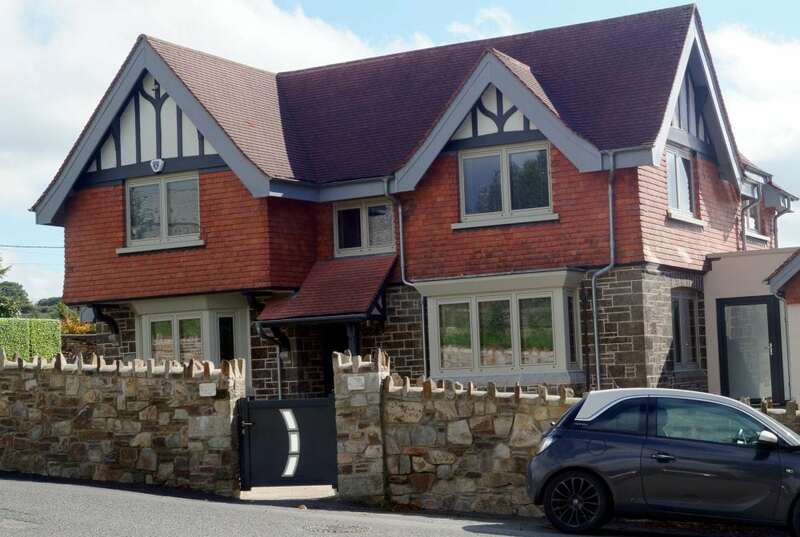 This Milton Abbot 2 storey detached home has recently been renovated and extended to include composite windows and a single storey glazed extension. 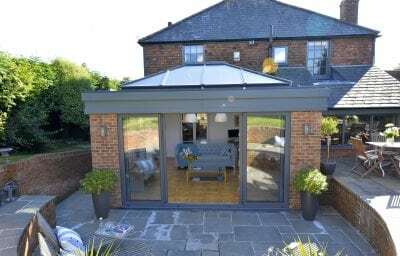 Sat opposite a listed building, within a conservation area, this property is in a sensitive location. Whilst the property itself isn’t listed the owners had to consider how any changes they made to the property would affect the character and appearance of the conservation area. 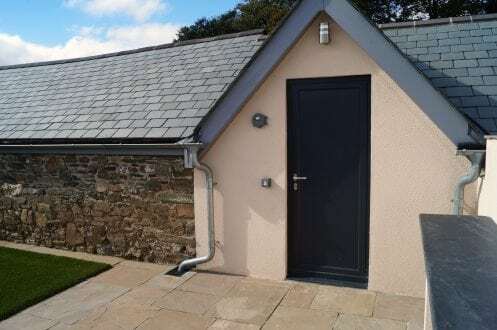 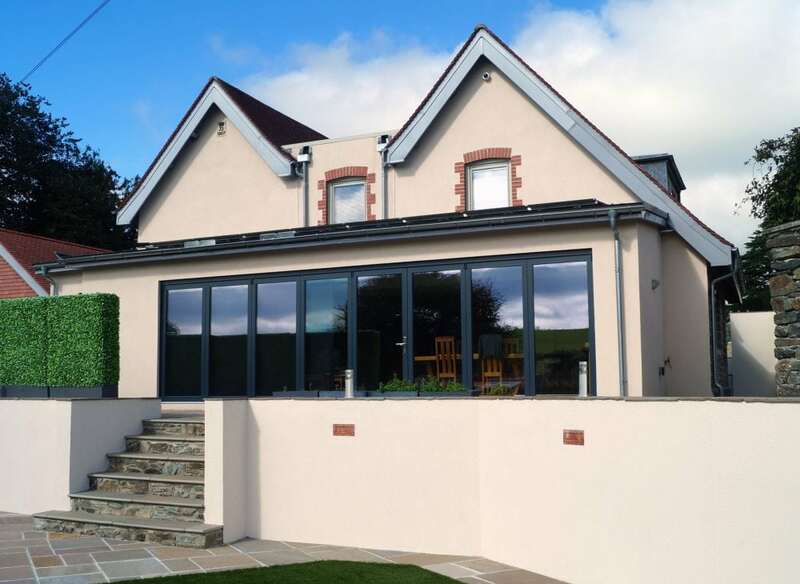 The homeowners completely renovated the property, adding a glazed single storey extension to the rear, and a link garage with utility room and storage above. Keeping the existing local stone, red slate and brown roof tiles with white render to the rear of the property. 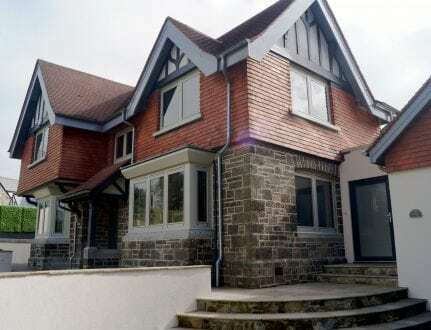 Whilst modernising with aluminium composite windows and doors, in contrasting colours. Which was considered acceptable in the conservation area. 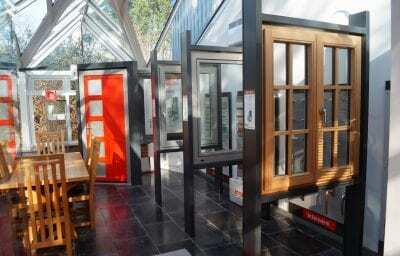 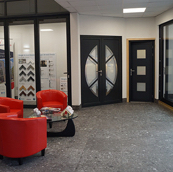 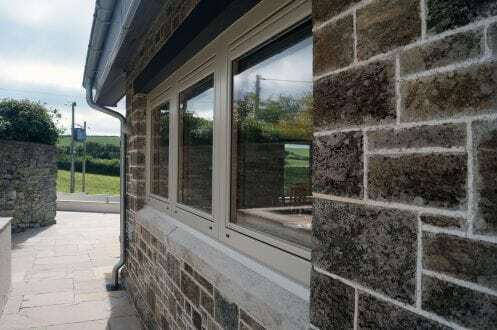 Having been recommended Aspect Windows, the homeowners visited the showroom to take a closer look at the composite windows and doors we had on offer. 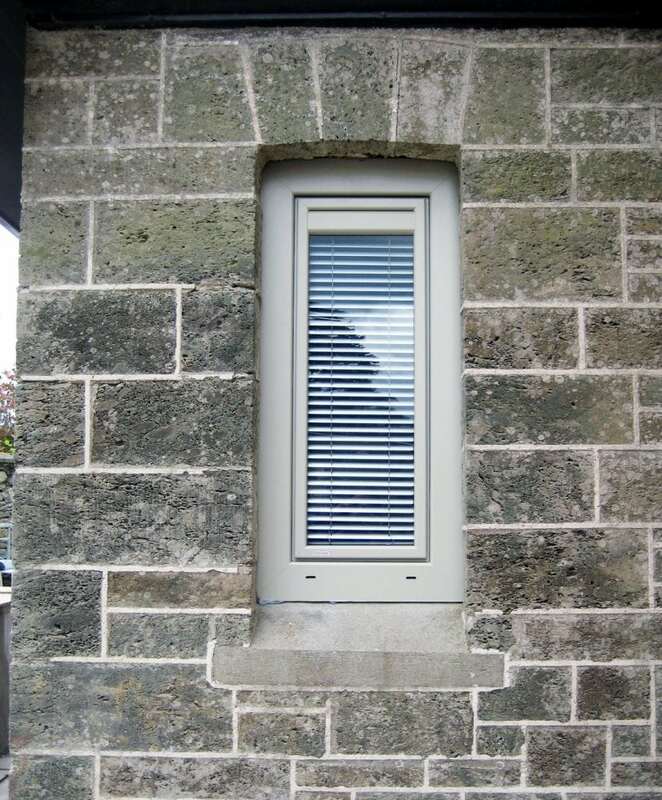 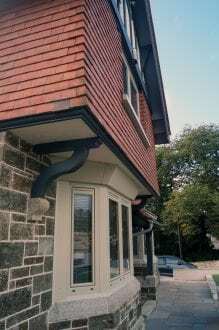 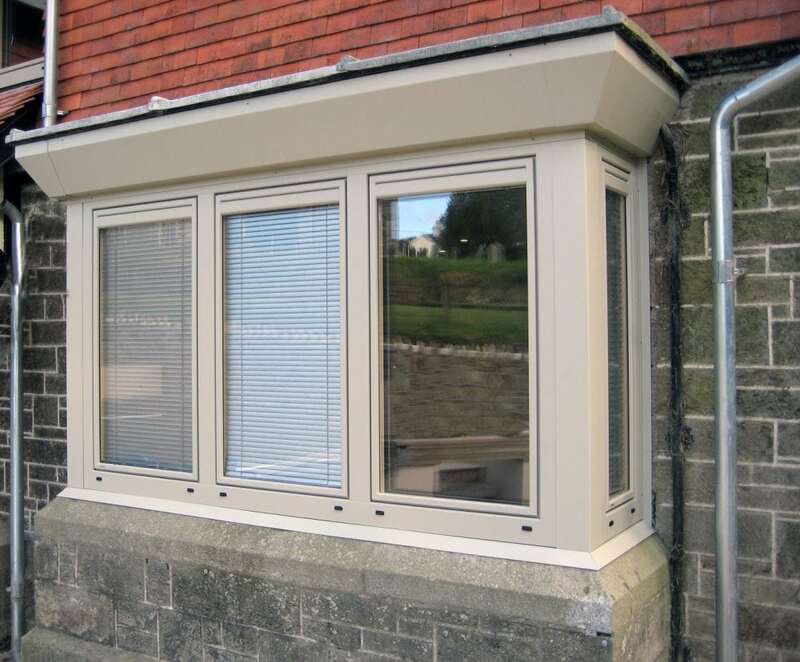 Timber/aluminium composite windows were chosen to replace the original timber windows. 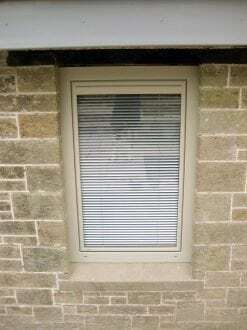 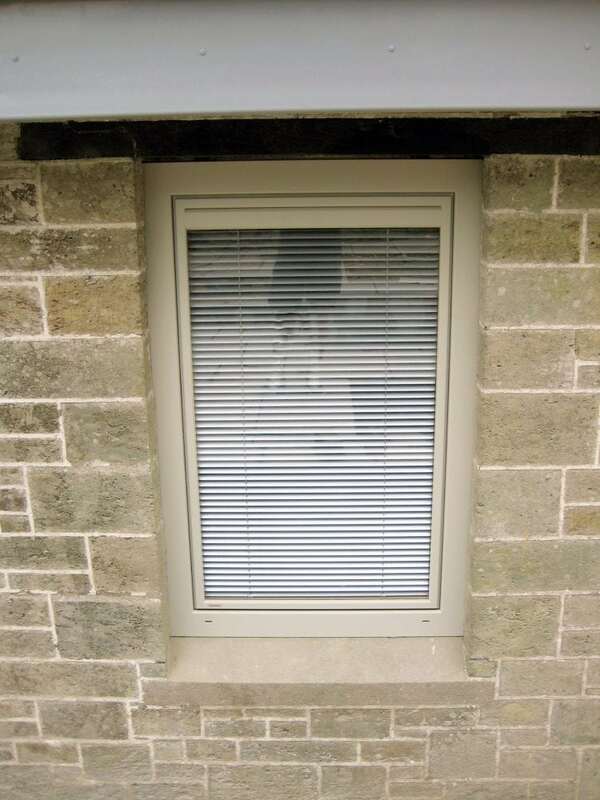 Choosing integral blinds to offer additional sun and privacy protection. 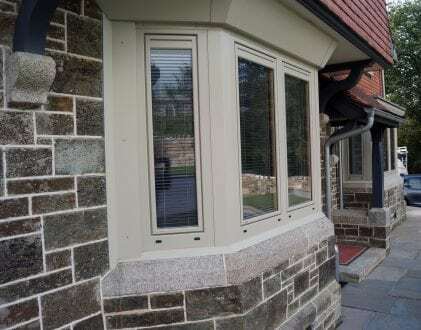 Selecting RAL 7032 Pebble grey for the external and spruce for the wood internally. A tilt and turn, casement windows with concealed locking mechanisms. 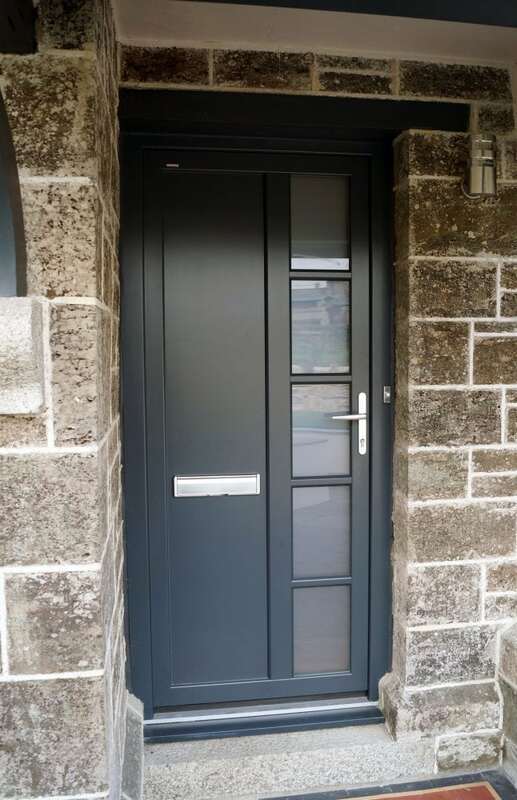 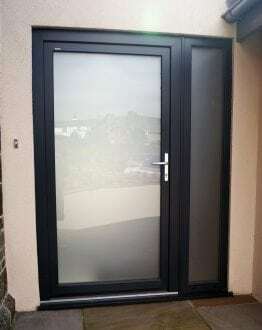 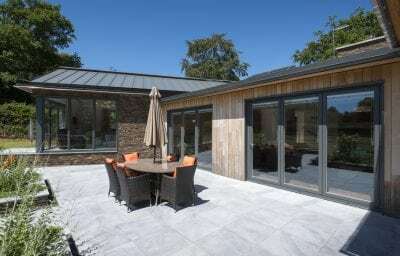 RAL 7016 anthracite grey was chosen for the doors to create a contrast, giving the property a modern look. 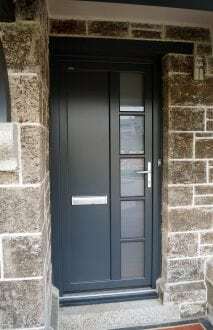 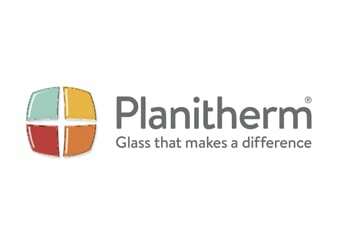 Timber/aluminium was also chosen for the front door, with obscure glass panes integrated to the right, with leaver handle and letter plate. For the side entrance door, obscure glass was chosen to maximise the light into this area of the home, whilst maintaining privacy.